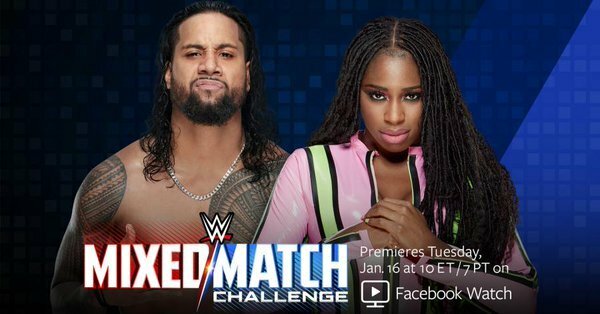 – Jimmy Uso’s arrest in February is now available for the world to see. WDIV in Detroit reports that police have released the body camera footage of Uso’s arrest, which went down on February 14th after having a drunken dispute with police officers. Naomi, who is Uso’s wife, was in the car at the time. You can see the video below. According to the report, Naomi was driving and told the police that she was visiting from out of town, and thus didn’t know the streets. She said of Uso, “He’s had a lot to drink. He’s intoxicated.” When officers asked Naomi to get out of the vehicle, he pulled her back in. They asked Uso to stay in the car but he got out and took his shirt off, then faced off with the officers. He complied after an officer pulled out his Taser and told Uso to get on the ground. After Uso is arrested, an officer told Naomi that when Uso gets out, that she needs to tell him that he can’t be doing stuff like this anymore. Uso was arrested for disorderly conduct and obstruction.